What would Frida Kahlo wear? What kinds of folk art would she surround herself with? To answer those questions, the Heard went to the Phoenix Fridas. This collective of nine artists founded a decade ago draw inspiration by Frida Kahlo’s life, work and attitude toward life. The Fridas worked with the Heard to select items from the museum’s substantial collection of Mexican art and provide explanations of why they think Frida would like the items they selected. We discovered treasures that look like they were pulled straight from Frida Kahlo’s closet — colorfully embroidered blouses, large stone necklaces, shawls (rebozos) and ornate jewelry with beads and coins. Other works of art might be found on her bedside table, bookshelf or wall — a lively tree of life, ceramic animal figures, copper and wood masks, and vibrant textiles. Frida loved her animals, making pets of small deer, Mexican hairless dogs, parrots and monkeys. We have selected some figurines from our collection that are irresistible. The Fridas examined items from among more than 400 pieces of Mexican art purchased for the Heard in 1979 by the Friends of Mexican Art (FOMA), an organization that promotes the appreciation of Mexican art through sponsoring exhibits, lectures, art purchases and other activities that encourage the friendship and understanding between the peoples of Arizona and Mexico. Interviews with each member of the Phoenix Fridas are included in a 30-minute video about who they are, their art and their inspiration. It will be screened in the gallery during the exhibit. These artsy ladies will also assist with exhibit-related programs presented at the Heard. Members of The Phoenix Fridas. Left to right: Emily Costello (aka Smoking Frida), Anita Mabante Leach (aka Panchita Frida), Kathy Murillo (aka Crafty Chica), Carmen Guerrero (aka Beader Frida) and Annalisa Serna (aka Fashionista Frida). Behind: Veronica Verdugo Lomeli (aka Vero Frida), Monica Gisel (no aka yet, she is the newest member of the group), Gloria Casillas-Martinez (aka Glorious Frida) and Monique Mata (aka Muchacha Frida). 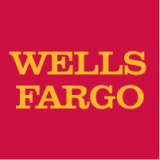 Heard Museum Billie Jane Baguley Library and Archives librarian Betty Murphy, with curator Janet Cantley and Books & More Manager Lynn Bullock, have compiled a bibliography of recommended titles to learn more about Frida Kahlo and her culture. Unknown artist (Mixtec people from Jamiltepec, Oaxaca, Mexico). 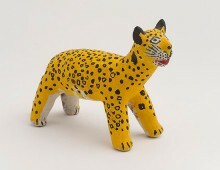 Figurine of jaguar, 1979. Ceramic, paint. Purchased with funds provided by the Friends of Mexican Art (FOMA). Teodora Blanco (Zapotec from Atzompa, Oaxaca, Mexico). Figure, 1979. Ceramic. 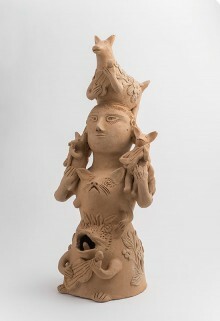 Totem-like figure of a woman with a feline creature at her torso, a reptilian figure at the base, playing a small guitar. She holds two itzcuintli (hairless dogs)-style figures on her shoulders and one is atop her head, all playing guitars. Purchased with funds provided by the Friends of Mexican Art (FOMA). Unknown artist (Ameyaltepec, Guerrero, Mexico). 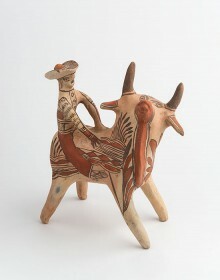 Bull with rider figurine, 1979. Ceramic, paint. Purchased with funds provided by the Friends of Mexican Art (FOMA).